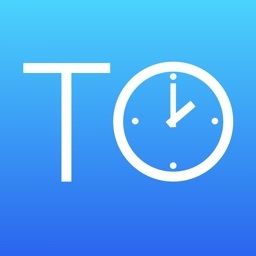 iTookOff is an app that manages and tracks your allotted vacation, sick, and personal time. You can now know and have your paid leave balances with you at all times. 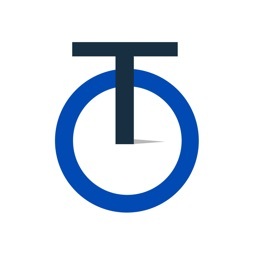 iTookOff offers unparalleled customization and is the best way to track your paid leave balances with your iPod Touch or iPhone. * Eight customizable leave categories. * Built-in calendar that supports multi-day leave. Tap a day to enter new time or tap used time to edit. * Accrue time monthly, weekly, bi-monthly (the first and 15th), bi-weekly (every two weeks), yearly, or manually. 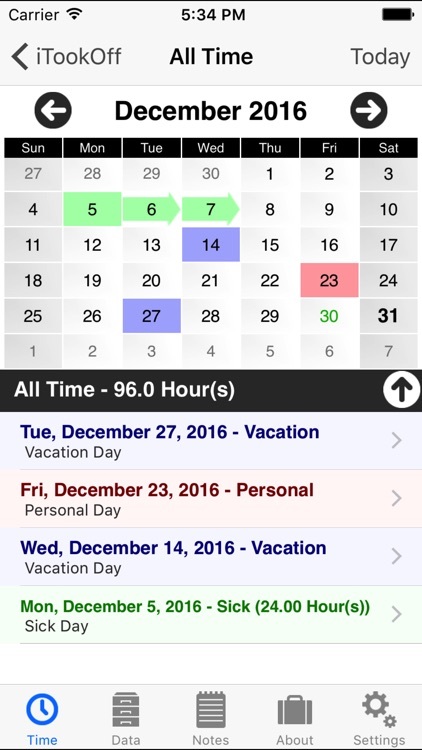 iTookOff allows you to customize how your time rolls over each year as well. 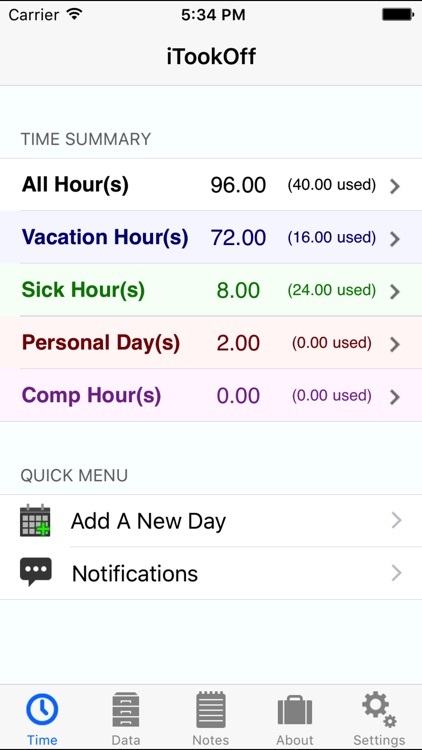 * Leave balances are visible on the main screen along with a color coded and filterable table that shows you the time you have taken off already and a total of how much time has been tracked. * Enter and display time in hours OR fractional days. * Schedule time off in the future and iTookOff will show a countdown until the time off. 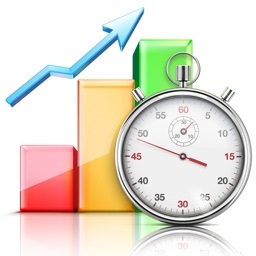 * iTookOff can even predict how much time you will have available on a certain day! Simply choose a later date on the "Take a Day Off" screen to view it. * You can enter "added time" to increment your leave balances. 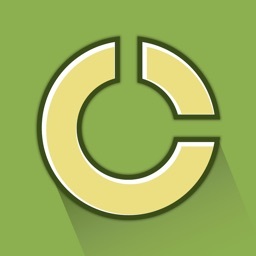 This lets you track compensatory time accrual and deductions. * Enter custom reasons for days you have taken off. * You can send yourself an email backup of all your leave balances, settings, and time you've taken off. Your notes and archived data will be attached. * Made a mistake? Delete an item and iTookOff gives you the option to correct your leave balances in one step. You can also edit taken time and iTookOff will also offer to correct your leave balances if the value changes. * iTookOff has an about screen that loads the latest development news so you will always know what new features are coming and a button to open an email to the developer. 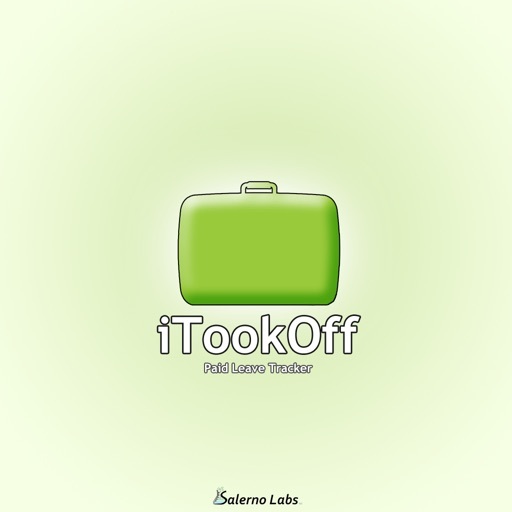 iTookOff was developed by a web developer who's HR department does not tell him how much time off he has left. The logo was designed by Danielle Lahmeyer. 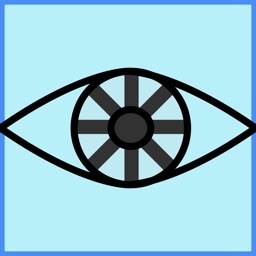 If you have any questions, comments, bug reports, or criticism, please email me us [email protected] Your feedback has made iTookOff awesome and your suggestions will help make the next version even better.